Advocacy is a major element of the work that NYCHC does. 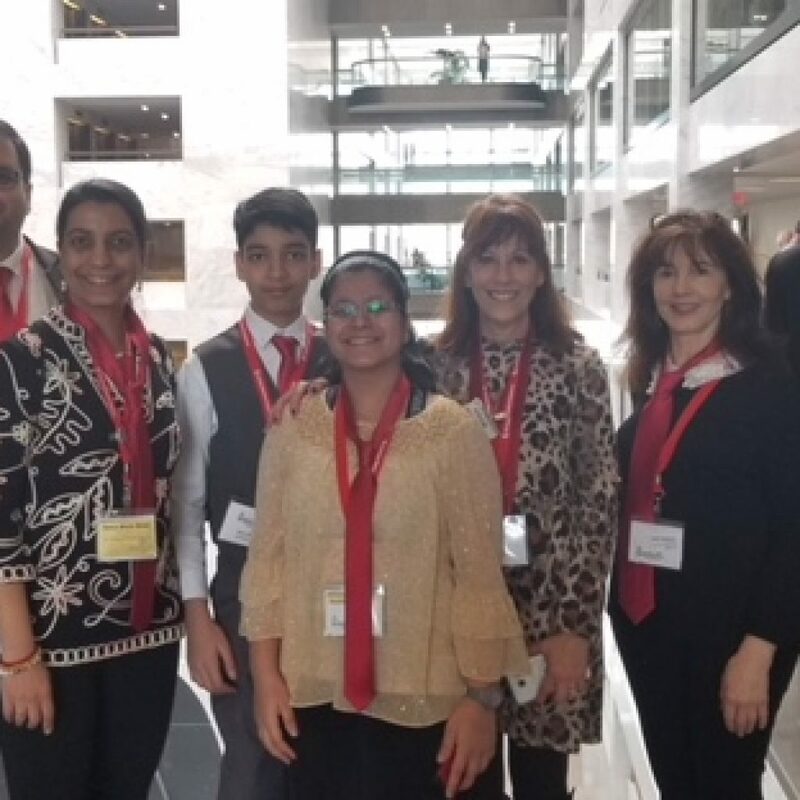 Every year, we take families and individuals down to Washington DC as part of NHF’s Washington Days Advocacy Event. While there, we speak with legislators about the laws that directly impact the bleeding disorders community. 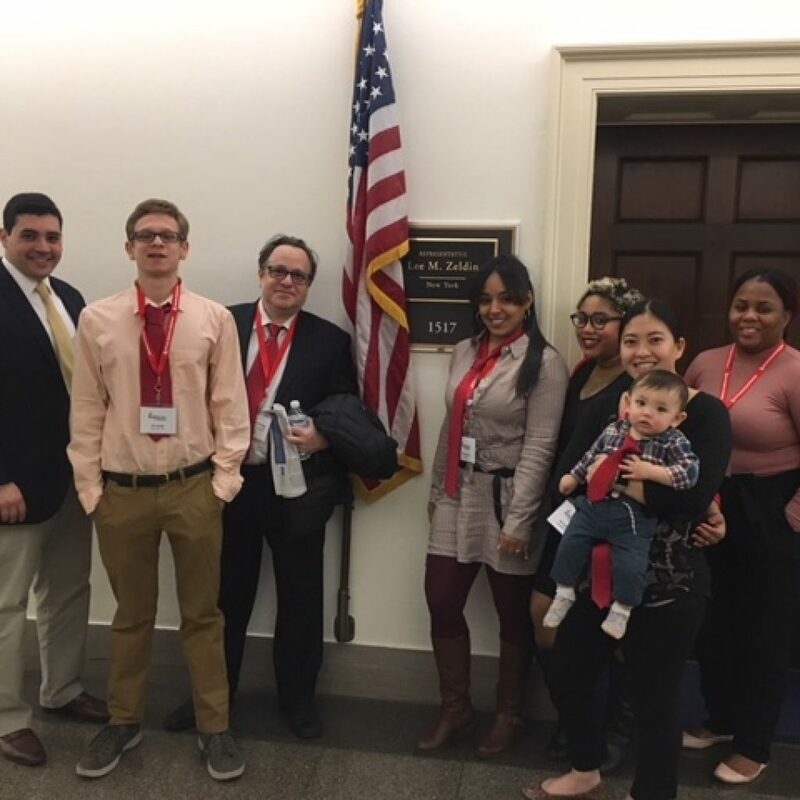 Advocates share their stories with their representatives as family members, patients, and friends of what living with a bleeding disorder is really like. 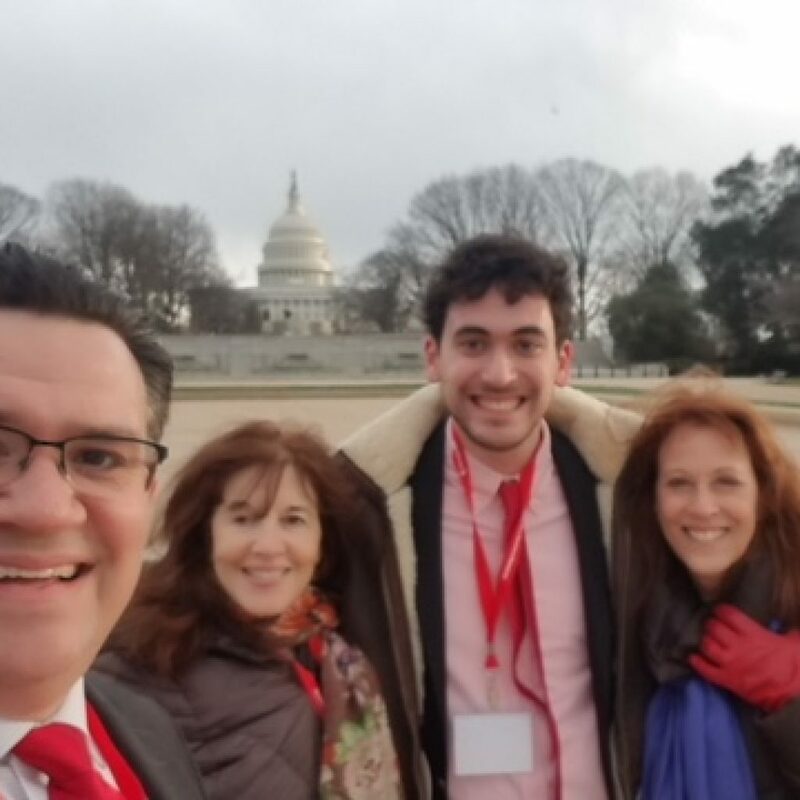 Below, we’ve profiled some first-time advocates who have recently returned from Washington DC to tell you why they speak out for the bleeding disorders community. 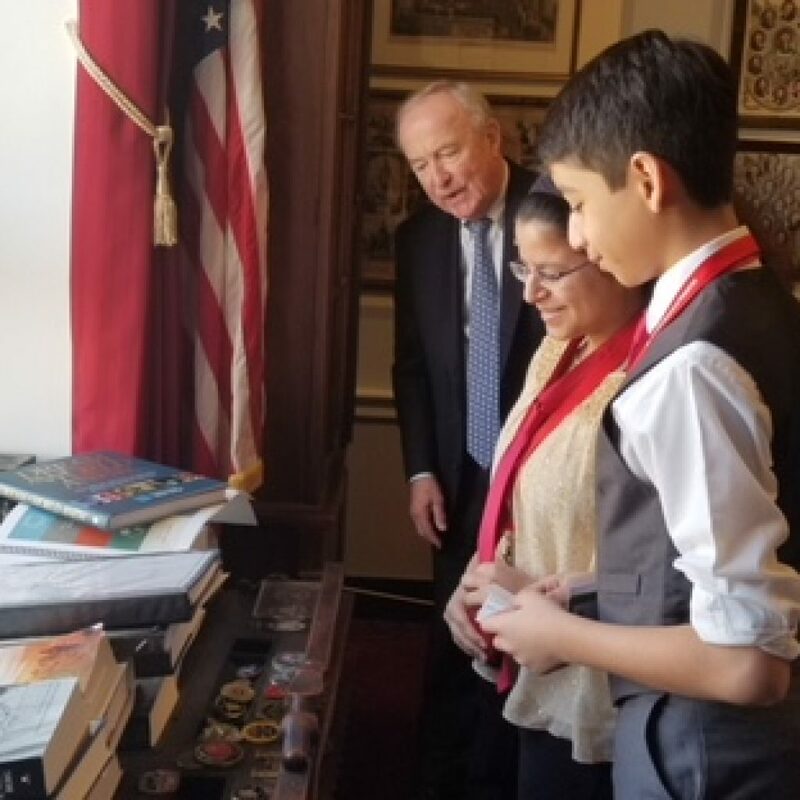 Our first time attending Washington Days were days of hope, bonding and inspiration for our family. 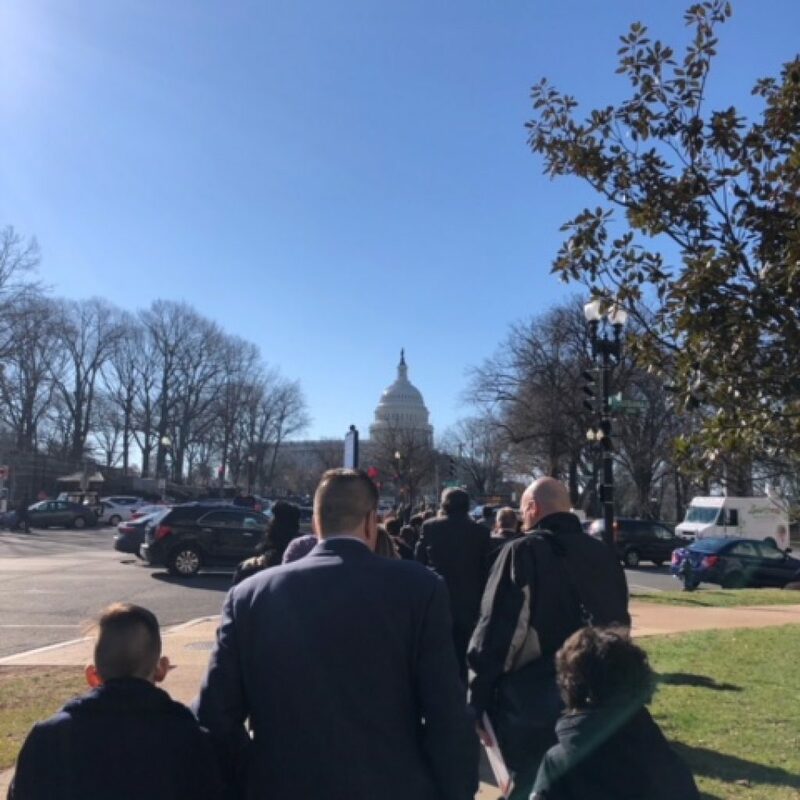 The charge of energy we felt and the excitement in our sons’ eyes as we set out towards Capitol Hill will always be memorable. 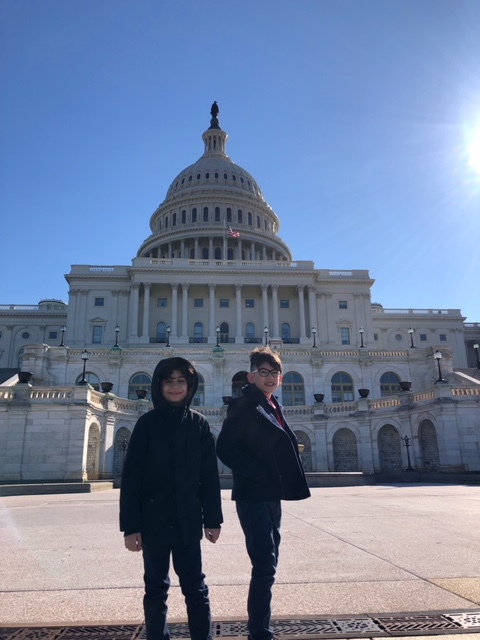 In the crisp, cool morning air and bright, sunny sky, we walked besides our red-tied friends representing their states from across our country. 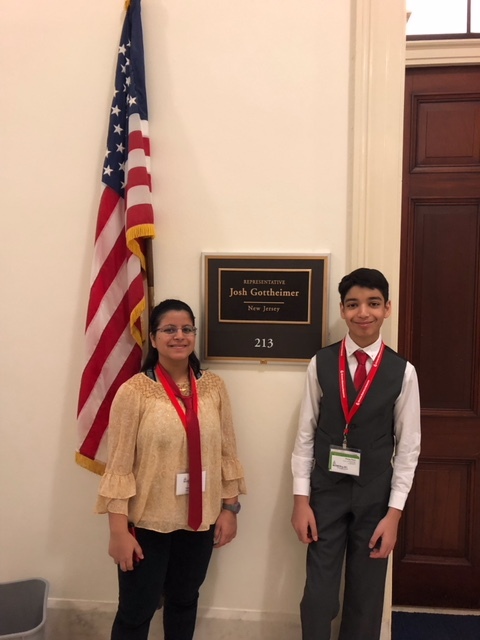 We came to share our personal stories and to express our concerns in these changing times of healthcare with members of Congress. 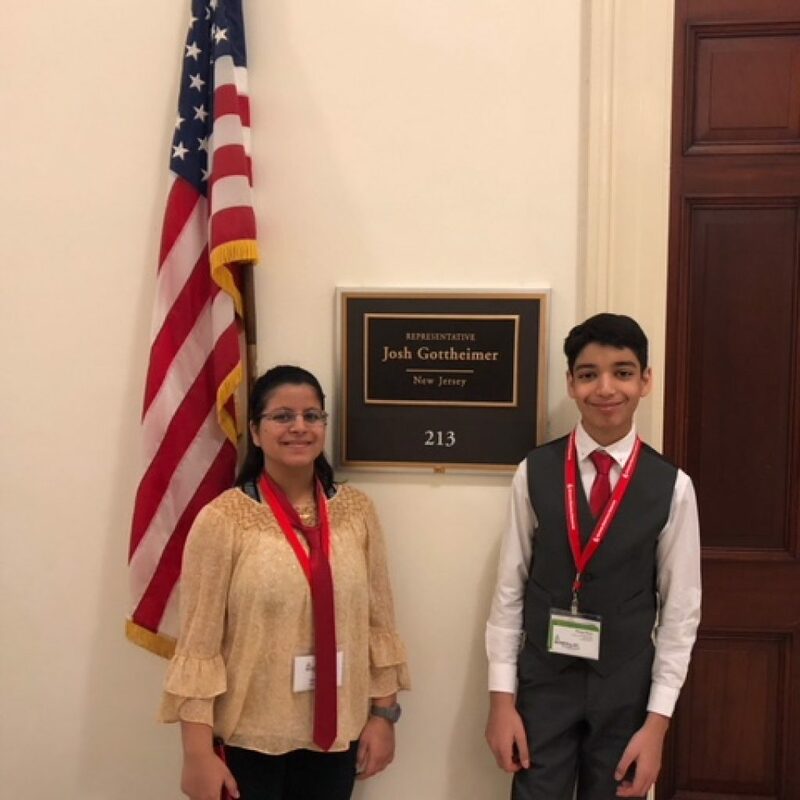 Unified with our bleeding disorder community, we explained how crucial and expensive our treatment is and how vital funding, research and healthcare coverage are. 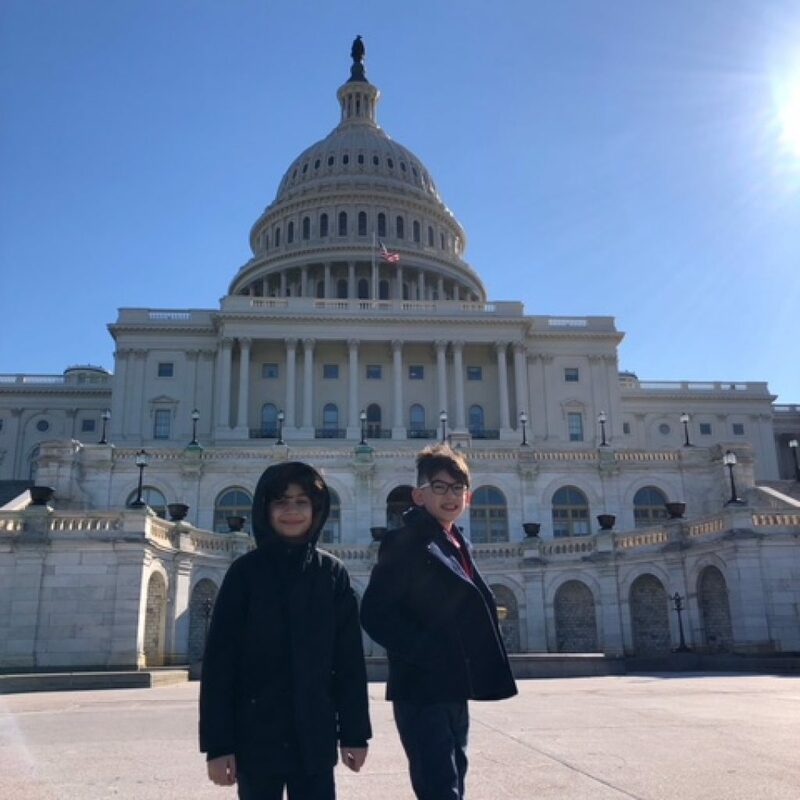 Our sons, still young enough for innocence, yet old enough to really understand, were educated on the importance of advocacy and standing up for causes that effect them so personally. Grateful for this profound experience, we know we’ll return again, solidifying our voices with our red ties on. 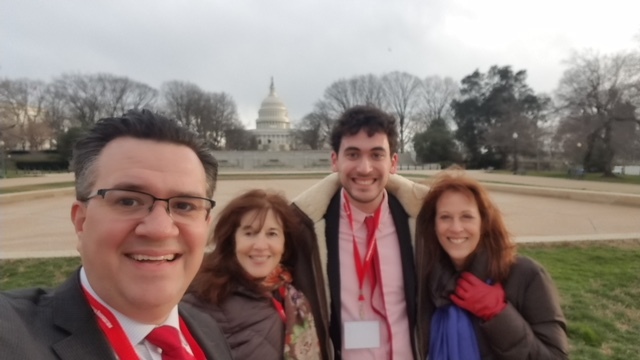 As a first-timer to Washington Days, I found the experience interesting and I am excited to see the results that advocacy events can have on our elected officials. 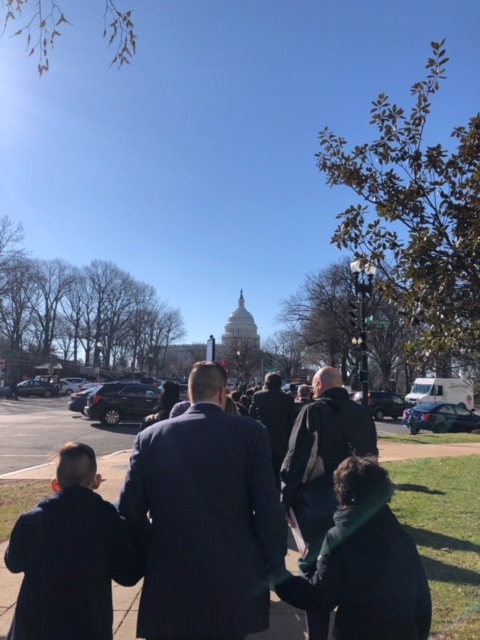 Seeing the surprise and concern in the faces of the elected officials and their staff as they heard the personal stories showed me first hand the potential impact of advocacy. 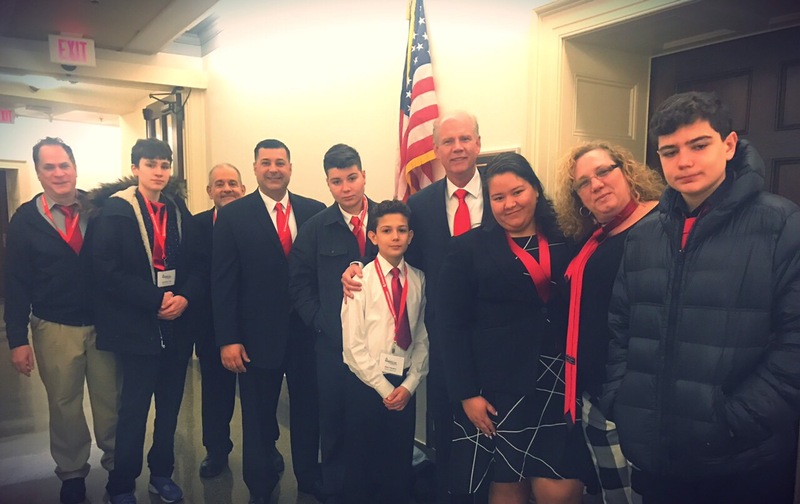 In addition to the advocacy, meeting other families who are dealing with bleeding disorders helped me to see that my family is not alone. I want to thank to the organizers and the families that participated. I especially want to thank the kids and young adults that stood up to be heard by our elected officials! My first Washington days advocacy event was a wonderful way to use my voice and speak out about the issues that are so very important to my family. My advocacy is inspired by my adorable , happy, fun loving grandson Ross Jacobsen and his mom and dad, Lisa and David. 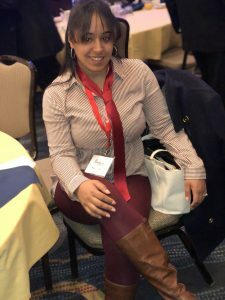 It was an honor to take part in this meeting where I was able to connect with like minded members of the bleeding community. My overall experience as a first-timer was priceless. 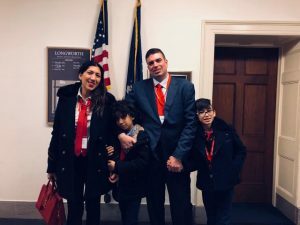 I was nervous when I decided to attend this event because just like in my daily life, I was not sure how someone in politics could understand how living with a bleeding disorder could be challenging. I knew ahead of time there would be training before proceeded out to the Hill. We were all given red ties to wear for Bleeding Disorders Awareness Month. While at dinner you could hear the passion in the stories that were told along with the presentations on how to approach our senators. The statistics provided shed light on the fight we were ready to stand behind. The very next morning during breakfast we had another meeting just before we headed out into the field to ensure we were all properly equipped. The walk from the hotel to the offices was not that far, however for my joints it felt like forever! After I had the chance to infuse I felt better. The hotel did offer scooters for those who needed it and shuttle buses as well. 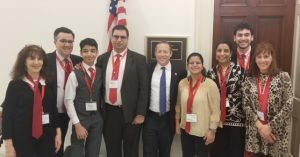 I had the opportunity to meet with my senator, Lee Zeldin. 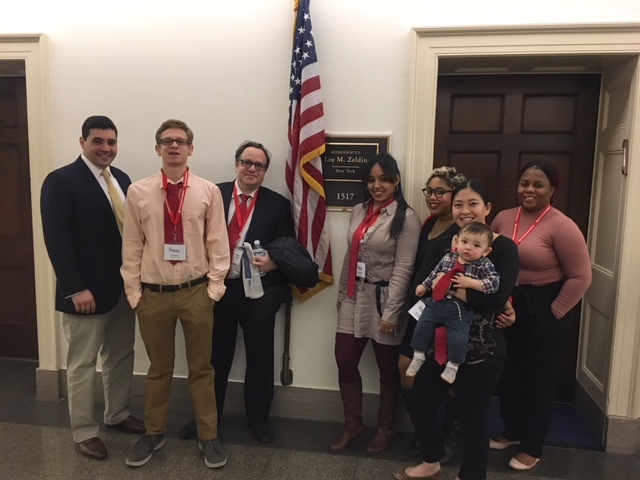 Our visit was short (he was running to a vote, but we spoke with his legislative assistant, Matthew also), so made sure to explain to him how living with von Willebrand Disease has affected my daily life routine; I even infused in his office. I honestly wish he had more time to speak with us, since he previously has voted to repeal the ACA, but we left our business cards and I intend to keep in touch. 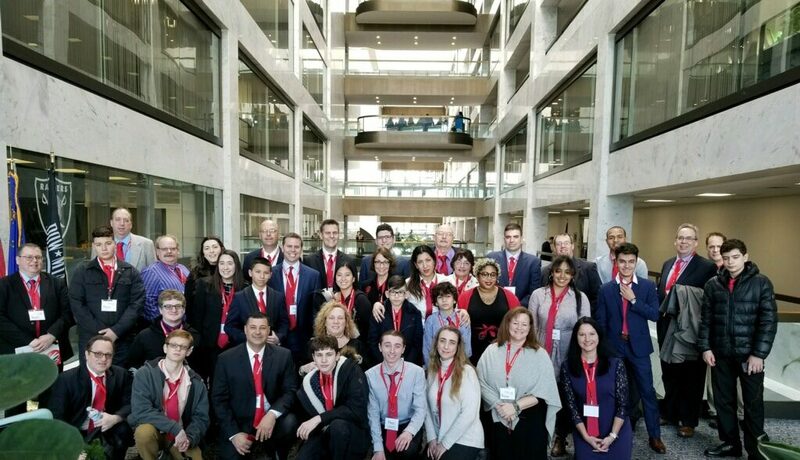 I was able to confidently speak about my von Willebrand’s, and even spoke alongside a young man with vWD from upstate at our meeting with Chuck Schumer’s legislative assistants.With the support of everyone who attended this event and the information that I have gained I have the confidence to spread the word fight for RED! I plan on attending Washington Days for many years to come. Thank you so much to the National Hemophilia Foundation and the NYC Chapter for this opportunity.